George Zimmerman relaunched his personal website on the same day that he gave his first media interview about his shooting of Trayvon Martin. On the site, therealgeorgezimmerman.com, the second-degree murder defendant wrote a letter to his supporters and asked them to donate to his defense fund, which he said is nearly depleted. “This has been the most difficult time of my life. I have been charged and arrested for murder, I have been accused of being a racist, and my family and I have to live in hiding because of threats against my life. I am not a murderer, and I am not a racist,” Zimmerman wrote. Zimmerman, 28, has pleaded not guilty to second-degree murder in the shooting of Martin, 17, of Miami Gardens. He claims self-defense. Zimmerman told Fox News’ Sean Hannity in an interview that aired Wednesday night that he had never heard of Florida's Stand Your Ground law before the Feb. 26 incident in Sanford. His attorney Mark O’Mara told Hannity that he plans to use Stand Your Ground in his defense of Zimmerman. Zimmerman wrote that “Rumors and lies about the case and me are rampant on the Internet,” so he created his website to give him a place to set the record straight. Zimmerman said his website is also a place where he can gather donations for his defense fund, which he said has the lowest amount of money in it since it was formed. Zimmerman initially set up therealgeorgezimmerman.com in the days before his April 11 arrest, but it was disabled later in April. A spokesman for the O’Mara Law Group told NBC 6 that Zimmerman asked to relaunch his website and O’Mara allowed it. It relaunched on Wednesday. Zimmerman is responsible for the site, and the hope is it will raise awareness and help drive donations to the defense fund, according to the spokesman. Zimmerman will contribute to it infrequently, he said. Zimmerman said in a video posted on his site later on Thursday, however, that "I’ll be frequently updating this website, so check back often, and spread the word to your family and friends." He reiterated his message in the video, thanking his supporters in English and Spanish. O’Mara and his team already have a robust website, gzlegalcase.com, and associated social media accounts that advocate for Zimmerman online. Links on both gzlegalcase.com and therealgeorgezimmerman.com connect to gzdefensefund.com, the official site for Zimmerman’s legal defense fund. 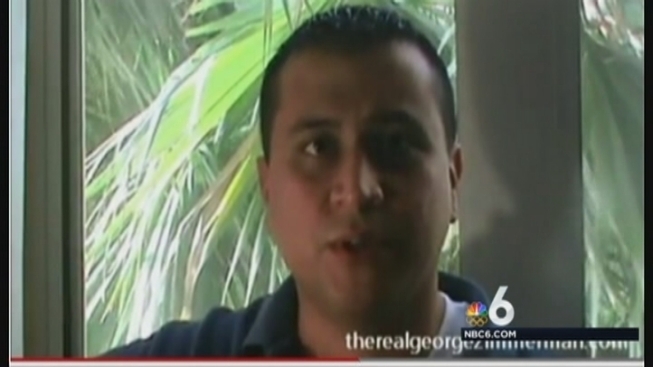 Zimmerman is living in hiding with his family after being released on bond for a second time recently. He wrote that his family’s security needs have been extremely high, and that his defense fund has been devastated by almost $50,000 in security expenses and the $100,000 that was paid to a bondsman to release him from jail. “The skyrocketing legal costs have gone unpaid,” he added. He closed his letter to supporters by relaying his and his family’s gratitude.